Poster printing is a very affordable way to create signage that needs to be eye-catching – but that is not going to be a permanent sign. Our poster printing inks and printing substrates provide clear, crisp, bright color quality. Posters are perfect to advertise events, performances, sales or fundraisers. They also are an ideal – and affordable – way to decorate an event space, or provide information to attendees at trade shows and conventions. Foamcore poster mounting is an excellent way to display printed posters that will be up for longer periods of time. 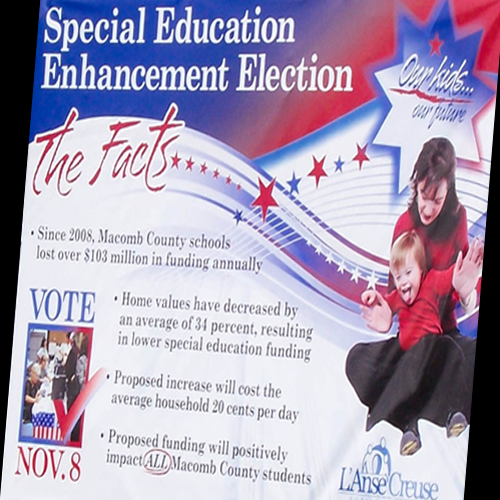 Foamcore backing adds stability and durability to your event or advertising posters. Foam-core (also called gator board) also makes posters easy to hang, remove or reposition. Lamination is an effective way to enhance a poster’s visual appeal, and add durability and longevity to your poster. Colors appear more vivid under lamination and will last longer – even in sunlight. We offer both Vinyl Lamination and Mylar Lamination in a variety of thicknesses.